combine 2 1/2 cups water and 2 cups shredded, unsweetened coconut and bring to a boil. remove from heat; cool. mix in a blender for 2 minutes; strain. in an airtight container add 1/8 teaspoon of peppermint extract to a 12 oz. bag of dark chocolate chips. let sit for 24 hours. Using A Diabetic Cookbook: Those who have been diagnosed with diabetes, whether recently or who have been living with diabetes for a while, often have trouble coming up with good meal items which not only are healthy but taste good as well. An easy way to solve your menu issues is to use a diabetic-friendly cookbook to prepare meals. As the number of individuals living with diabetes continues to increase, more and more cookbooks of this type are being published which provides quite a bit of options from which individuals can choose the best meal planner. There are quite a few good reasons to use a diabetic cookbook when preparing meals. First, doing so will allow you to prepare meals which keep you within your dietary guidelines. As these meal planners are often prepared by diabetics themselves or dieticians, you can rest assured that the items listed within will be in keeping with the proper diabetic meal guidelines and restrictions. Another reason to use a diabetic cookbook in your cooking endeavors is that it will provide wonderful menu options. This is beneficial for those who know what they can and cannot eat yet are stumped when it comes to different meal ideas. Diabetic or not, there is nothing worse than boring meals week after week. Using a cookbook of this type will add flair and flavor to your daily dining. Lastly, diabetic cookbooks provide meal options which are good for the entire family. Since diabetic recipes often focus on low fat, low salt menu items, the whole family will benefit in that they will be eating better. This does not mean that they have to sacrifice taste as many recipes will provide flavorful meal options which add various seasonings and spices allowed to be consumed by diabetics. As the supply is being increased to meet the demand of diabetics, you are sure to find a wide array of options with regard to diabetic cookbooks. There are a few places to locate cookbooks of this type. The first is in the cooking section of your local bookstore. Many bookstores have specialty cooking sections where not only diabetics but those with heart conditions, the cholesterol-wary individuals and vegetarians can read up on specialty menus to suit their specific diets. Another place to look for diabetic cookbooks is online. The Internet provides a convenient way to not only locate diabetic cookbooks but to order them as well and have them delivered directly to your front door. By using a search engine and typing in phrases such as “diabetic cookbook” or “meal planning for diabetics”, you will find a wealth of results right at your fingertips. If you wish to peruse a variety of cookbooks with meal plans that directly target diabetics, visiting the local library is another option. The larger libraries may offer more options with regard to this specialty type of cookbook as opposed to smaller book venues so if you have a local library with a wide array of books and sections this might be the place to start when searching for cookbooks of this type. Betty Crocker’s Diabetes Cookbook: Everyday Meals, Easy as 1-2-3 is a great starter diabetes cookbook. For those who want a cookbook with easy to prepare meals catered towards their special diet, this is a wonderful one to try. Recipes ranging anywhere from simple fish dishes to tasty chicken fare fill this 256-page cookbook. Another popular diabetes cookbook is The Diabetes & Heart Healthy Cookbook produced by the American Diabetes Association. Since this organization is well versed in the area of diabetes, it is no wonder that this is a popular choice with diabetics who are hoping to find new, delicious recipes to make on a daily basis. 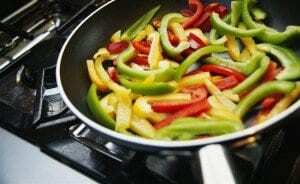 Cooking For Diabetics: When you are diabetic, or when you have a friend or family member that is, your cooking style is going to have to change in a few ways. The diabetic lifestyle doesn’t have to be that different from other lifestyles, as long as you can make the right accommodations in your cooking. It is often easy to make sure that you provide your friends or family members with great food, as long as you follow a few steps. First of all, don’t just assume that all diabetics are the same. If you are cooking for yourself, talk to your doctor about your sugar intake and what it should be. Depending on the type of diabetes that you have and the severity of it, you might be managing it with only insulin, or with a combination of diet and insulin. Some diabetics manage it only with diet, so it is important to talk to your doctor about what your sugar intake should be. If you are cooking for someone else, talk to them about it. Don’t’ just assume they can’t have any sugar, and don’t’ assume they can have sugar at all. Talk to them about what they need to eat and drink and then be sure that you stick to their recommendations when cooking. Secondly, if you think carefully about the way that you cook, and then you make some changes, you can easily slip into a habit of cooking for diabetics. Often, this can end up being a much healthier way to cook overall, so you might want to stick to these habits even when there isn’t’ going to be a diabetic at the table. A good way to start is making a variety of foods. Diabetics do need a variety of foods, just like everyone else. Get some cook books for foods that are naturally low in sugars, and for foods that can be cooked using a sugar substitute. You will find that no matter what type of meal you would like to make, or no matter what type of food you want to eat, there are ways to eat them without sugar or with less sugar. First, you can cook meals using alternative ingredients. Foods that are naturally low in sugar but taste similar to other foods can be used in place of the foods that are high in sugar. Sugar substitutes can be used in place of sugar. Just about everything comes in sugar free varieties – sugar free candy, sugar free cake and brownie mixes, sugar free drinks and drink mixes. If you cook for diabetics often ,you can simply change what you do to include these sugar free options. Another thing that you can do while you are cooking for diabetics is to make several choices. If you have a large family or group that you are cooking for, you can make two different bowls of Jello – one with sugar and one without. You can make two pies – one with sugar and one without sugar. Having a couple of choices can be good for everyone, not only for those with diabetics. Look into a sugar-free lifestyle for yourself, even if you aren’t dealing with diabetes. If you can change the way that you cook for your friends and family members, you might find that it is actually a great benefit to you as well. Every Day Deserts For Diabetics: Cooking for diabetics might seem daunting because of the decisions that need to be made regarding what diabetics can eat and what they can’t eat. If you want to be able to make cooking decisions for yourself or the diabetic in your family – or even for any of your friends that might be diabetic, there are a few things to think about. Desert is a great meal for the day. Many times, people love to have deserts with each meal, but it is important to think about the implications of this for diabetic people. People with diabetes have different dietary needs, but most of the time, eating sugared foods just isn’t great for them. Diabetics either need to adjust their levels of insulin if they do eat sugared foods, or they need to stay away from these types of foods all together. Therefore, finding every day deserts for diabetics can be one of the best ways to help yourself as a cook. If you have someone with diabetes in your family, or in your circle of friends, finding great ways to have desert shouldn’t be something that takes up your entire day or takes up your cooking time. There are several things that you can do to make sure that the diabetics in your life have great deserts that aren’t going to harm their diets. First and foremost, there are plenty of great deserts that you can eat each day with natural sugars and without sugar. 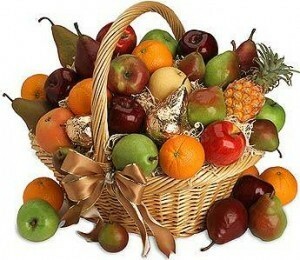 Fruits are these kinds of foods, because they are foods with natural sugars. There are lots of deserts that you can make with fruit. Just having peaches or pears on the table with the cakes and cookies will make a great substitute for the people who don’t want to have sugar, as well as the diabetics who shouldn’t be eating sugared foods. Making fruit salad is easy, and doesn’t take up much time, but even easier still is opening up a can of fruit or getting some fresh at the grocery store. Fruit is a good desert for everyone – diabetics included. Instead of having an elaborate cake or pudding for your desert, trying passing around a bowl of nuts and raisins. You can add some sugar-free chocolate chips into the mixture as well. Often desert time is the time when people enjoy having coffee and chatting, and bowls of finger snacks like nuts or raisins can make a great desert idea. They are healthy too, not just sugar free alternatives to cake or cookies or ice cream. You can make sure that your whole family is enjoying a small snack after dinner that can work as a great desert. Of course, you can also go sugar free when it comes to fast and easy deserts. It isn’t hard any longer to make your regular deserts with sugar substitutes. There are plenty of them out there on the market today, and if you aren’t sure what is the best for the diabetic in your life, just ask them and they can let you know. Remember that each person with diabetes has a different sugar-level that they are comfortable with and that is best for them medically speaking. Not all diabetics avoid all sugar, but some of them cannot have any type of sugar at all. Therefore, before you make great and easy deserts, just talk a little bit about it with our family so you know what is going to be best. Incorporating Sugar Free Food Into Every Meal: It is often a daunting task when you are faced with cooking for diabetics or dealing with the needs of diabetics. You might think that you need to change everything about the way that you cook or about the way that you eat food. However, things don’t always need to change when it comes to the way that things taste. You can easily incorporate sugar free foods into each meal that you have, making it easy for you to continue to enjoy the same foods, whether you’re cooking for yourself or a family member, or even for friends. Sugar free foods can be great for you even if you aren’t a diabetic. Too much sugar leads to tooth decay and all sorts of other problems, and can even lead to diabetes in the future for yourself. So, incorporating sugar free foods into each meal that you eat can actually make you healthier. First of all, you want to look into natural sugar substitutes and sugar that is found naturally in the world. Depending on what your doctor tells you about the type of diabetes, some of this sugar might still be off limits to you. However, there are plenty of sweet foods that don’t have sugar, and these foods can be used in all sorts of recipes to insure that you can have a sugar free lifestyle without losing the taste. Secondly, you can use sugar substitutes, or sugar free versions of the same types of foods. These are versions that taste the same and even smell the same, but simply don’t have the sugar in them that causes problems with diabetics. Therefore, you can easily deal with the same tasting and smelling foods, without the same level of sugar. Everything comes in sugar free varieties now a days. You can get sugar free chocolate chips to put into the cookies, or sugar free sweeteners to make your cakes or pies. You can get fruit that comes with no extra sugar added, and you can get drinks that have artificial sweeteners in them. No matter what it is that you would like to cook, you can do so with sugar free substitutes. The first thing to think about when you are going to make the shift to incorporating sugar free foods into every meal is where your sugar is coming from currently. What are the things that you eat in your diet that have sugar. Start by making a list. If you have sugary cereal and juices high in sugar in the morning, and then have cookies or cakes for desert, you need to add these things to your list. Go through a list where you find all of the sugars in your daily meals. Then, you can systematically begin to cut them out. Find the cereals that don’t have sugar, and find sugar-free substitutes to put on the cereals. Buy the juices that have no sugar added, and do the same for the cookies or cakes that you eat later on in the day. Find a good sugar substitute and swap your actual sugar at home for it. Sugar shouldn’t be something that accidentally falls into your diet. It is a choice that you make, and if you think things through and plan accordingly, you can make your diet completely sugar free each and every day.